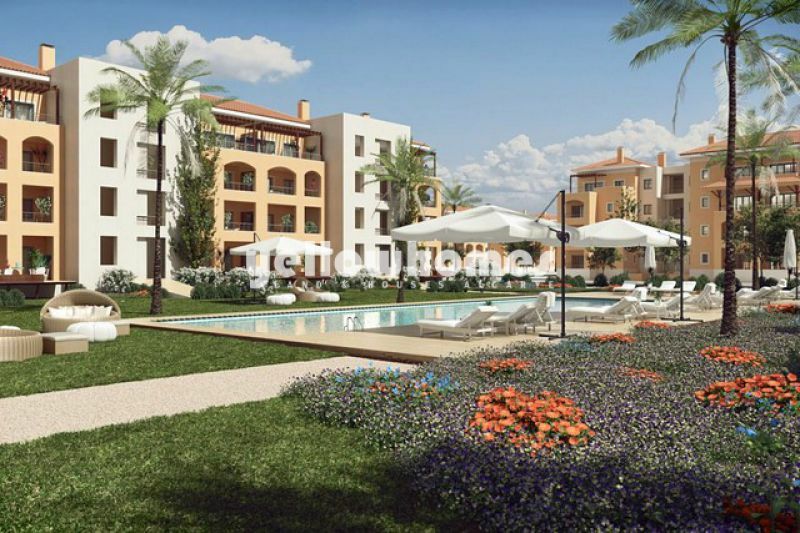 Located in the Central Algarve, only 20 min from Faro International Airport, Vilamoura is one of the most sophisticated residential and tourist resorts in Europe. 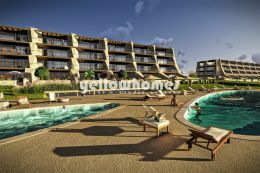 With its six golf courses, 3.5km of white sandy beaches, a Yacht Marina, shopping areas, quality restaurants and bars and a casino with a night club, makes this a unique place both to live and to visit. 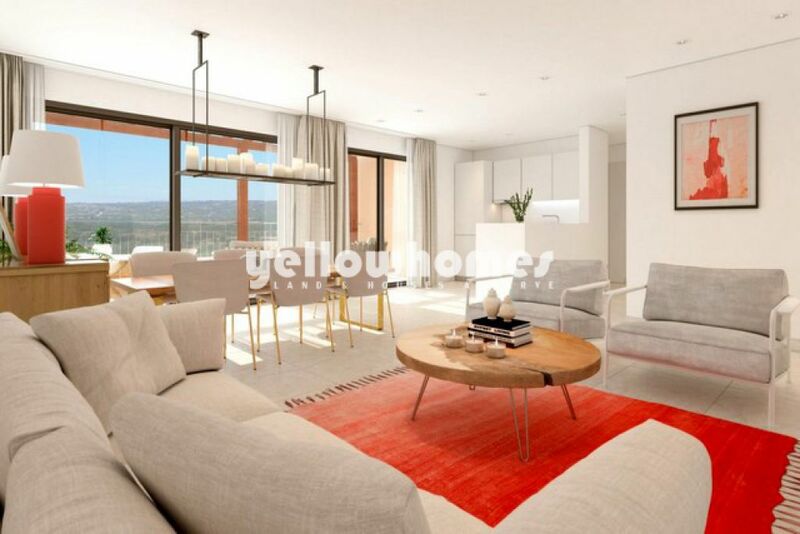 In a prime location, only a short drive from the Centre and the Marina, this exclusive condominium is overlooking the Millennium golf course and is only a stone throw away from the clubhouse and a new 5* Hotel. 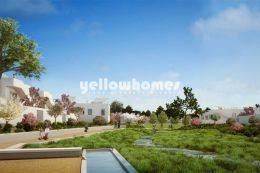 Beautiful gardens and a communal pool make this the right place to have your holiday retreat or permanent residence. 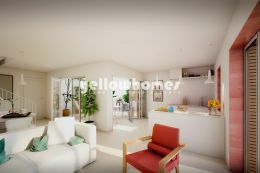 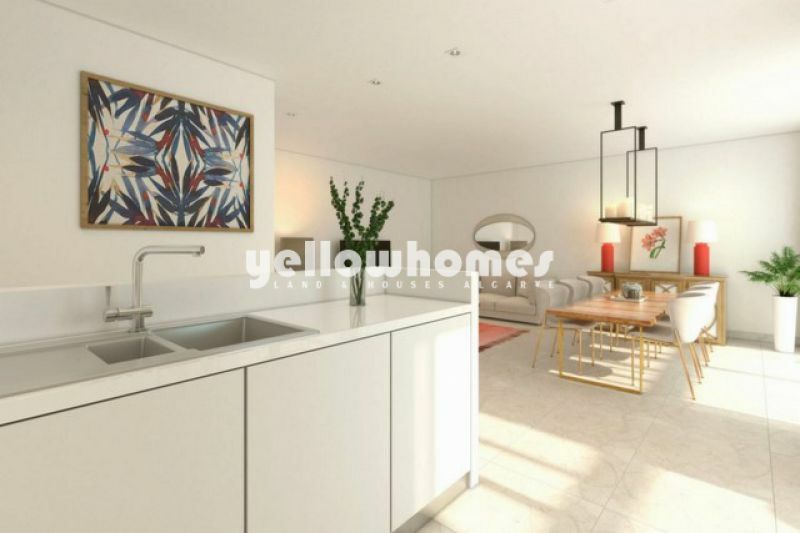 These new built 2-bedroom penthouse apartments are spacious and have high quality finishings.The entrance hall with cloakroom leads to a spacious living and dining room with sliding doors to a large terrace. 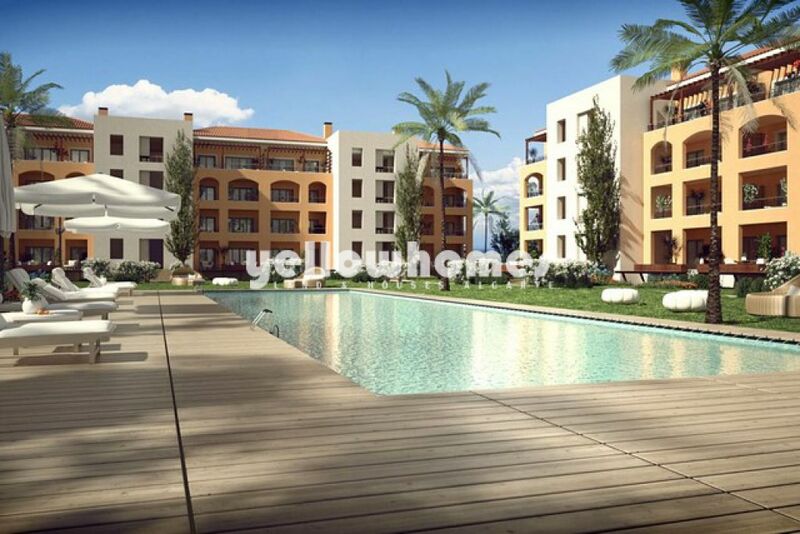 Serving the dining area, there is a fully fitted and equipped contemporary kitchen. 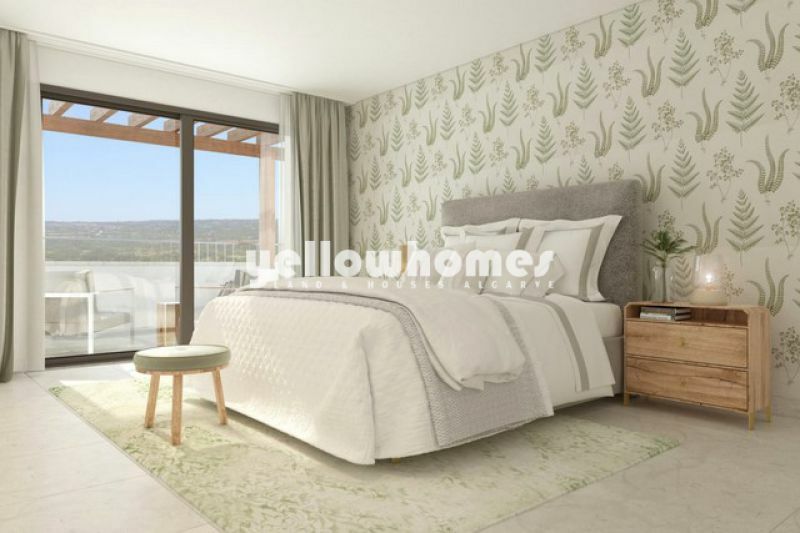 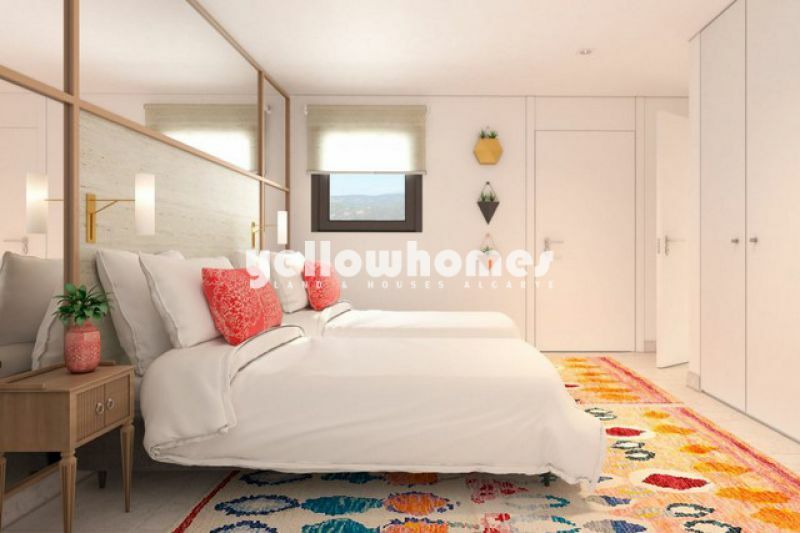 The 2 bedrooms have fitted wardrobes and en suite bathrooms, while the master suite has its own sun terrace.Built area: from 127 sqm to 154 m2..The construction is due to be finished during 2019. 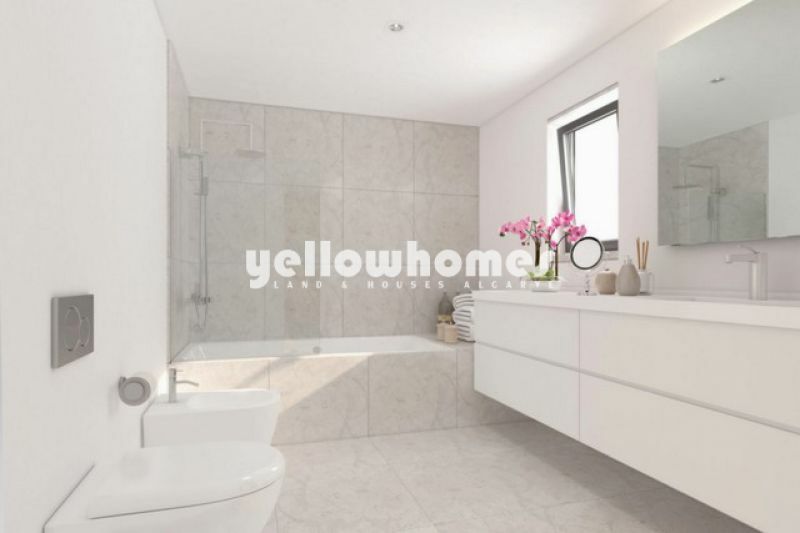 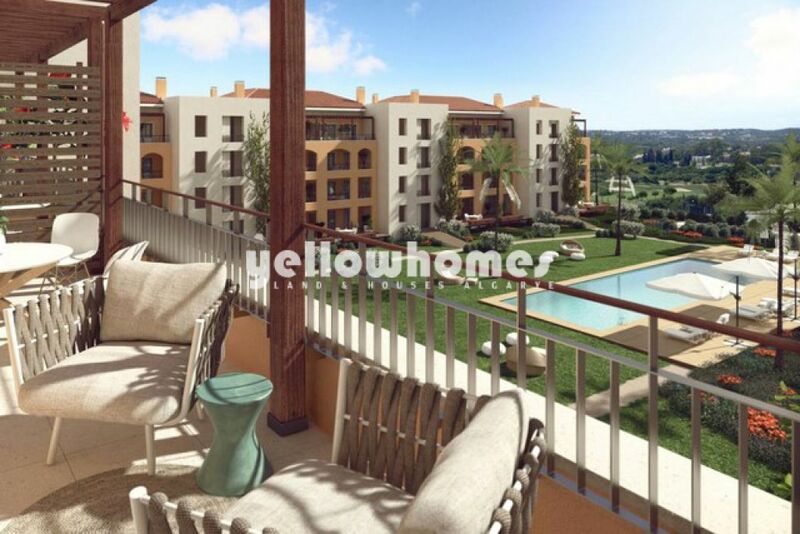 Yellow Homes is a real estate agency in sunny south Portugal with a reputation for friendly service of the highest quality and multilingual staff. Been in business since 1995, finding the right property for countless satisfied clients.